US investor Leonard Green has sold its 25% stake in retailers Topshop and Topman (TSTM) back to Sir Philip Green’s Arcadia retail empire. There are reports it may now seek a company voluntary arrangement (CVA), allowing it to cut rents and close stores. The group also includes brands such as Burton and Miss Selfridge. In March Arcadia said that job cuts and store closures from any restructuring would not be “significant”. Arcadia has 1,170 shops in 36 countries, although the majority are concessions or franchises. It has 300 shops in the UK after shutting 200 of them over the past three years. Sir Philip has called in consultants Deloitte to plan a full restructuring of the group after a fall in profits and sales. 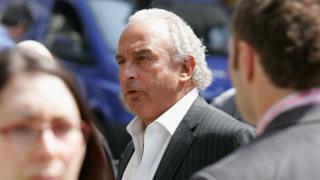 The sale has also raised hopes it may prompt Sir Philip to repair a hole in the Arcadia pension fund. In 2017 Arcadia agreed to double the pension scheme contributions to £50m per year for 10 years, after it had been revealed that its deficit was running at close to £1bn. Arcadia is in ongoing discussions with the Pensions Regulator to negotiate a reduction in cash contributions to its pension scheme which is over £500m in deficit. In return for reducing the £50m it pays in each year to make up that shortfall, the company is offering to put company assets into the scheme. Once again, Sir Philip finds himself toe-to-toe with the pensions watchdog. Last time, he ended up writing a personal cheque for £363m to spare 20,000 of his current and former employees falling into the pensions lifeboat scheme – the Pension Protection Fund – which would have seen many losing up to 10% of their retirement benefits. Once again, the Pensions Regulator finds itself in the unenviable position of having to play off competing interests, keeping the sponsor of the pension scheme (Arcadia) on a sustainable business footing while ensuring pension scheme members are protected. Read more of Simon Jack’s analysis by clicking here. Leonard Green & Partners (LGP), an American private equity firm with investments in brands such as Lucky Brand Jeans, J Crew and Pure Gym, bought a 25% stake in TSTM, for a reported £350 million in 2012. Investors had hoped the deal would help it expand in the US. LGP sold the stake in TSTM back to Arcadia for an undisclosed sum and said in a statement: “The transfer simplifies the shareholding structure of Topshop Topman and enables the Arcadia board to focus on the restructuring options being considered. He was also criticised over the demise of department store chain BHS, which collapsed in 2016, a year after he sold it for just £1.